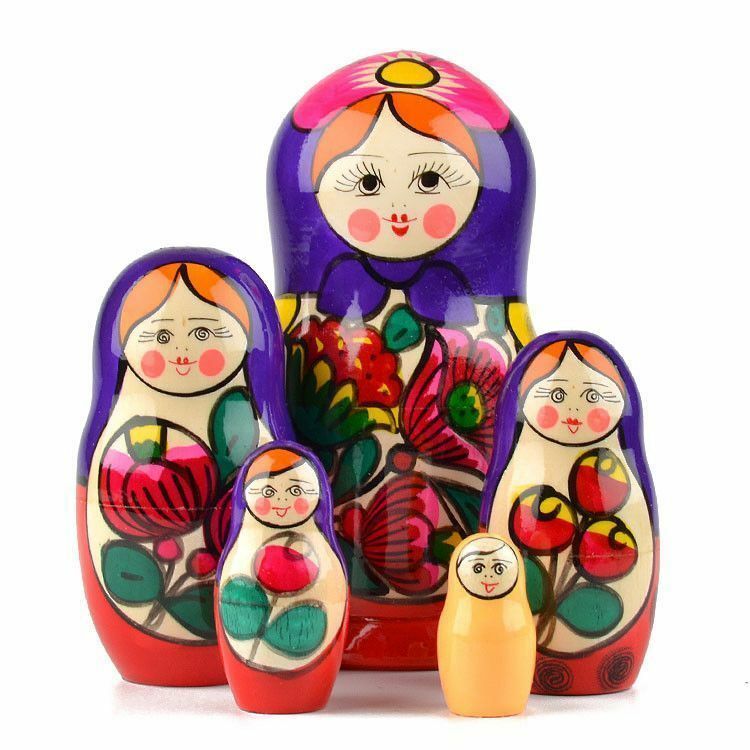 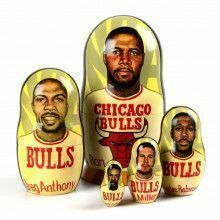 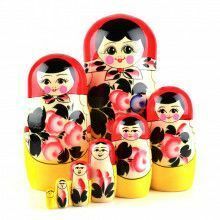 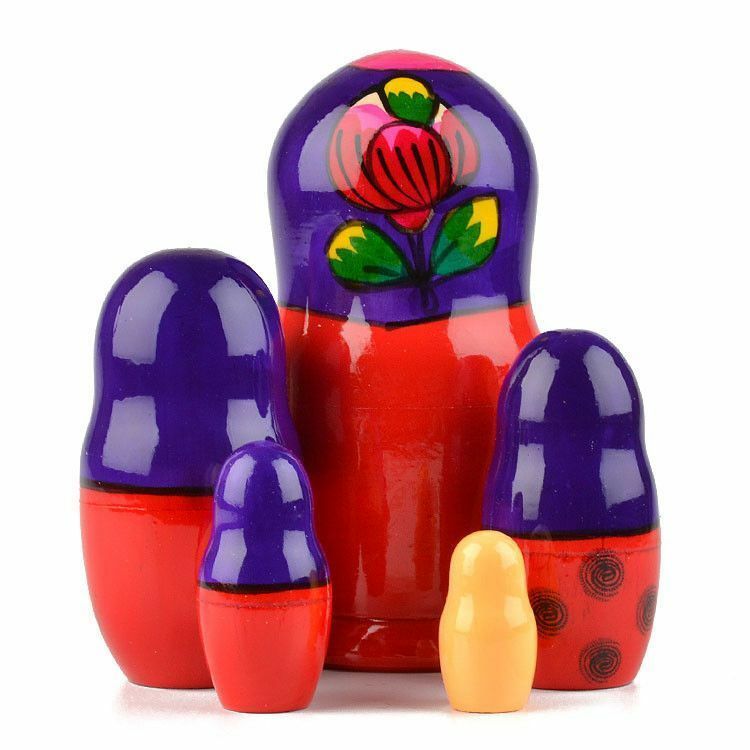 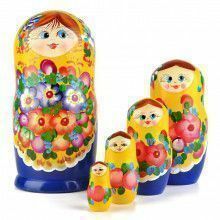 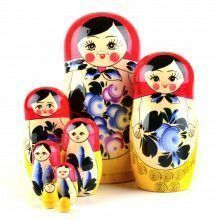 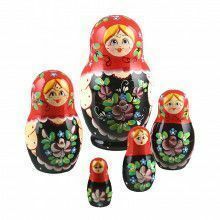 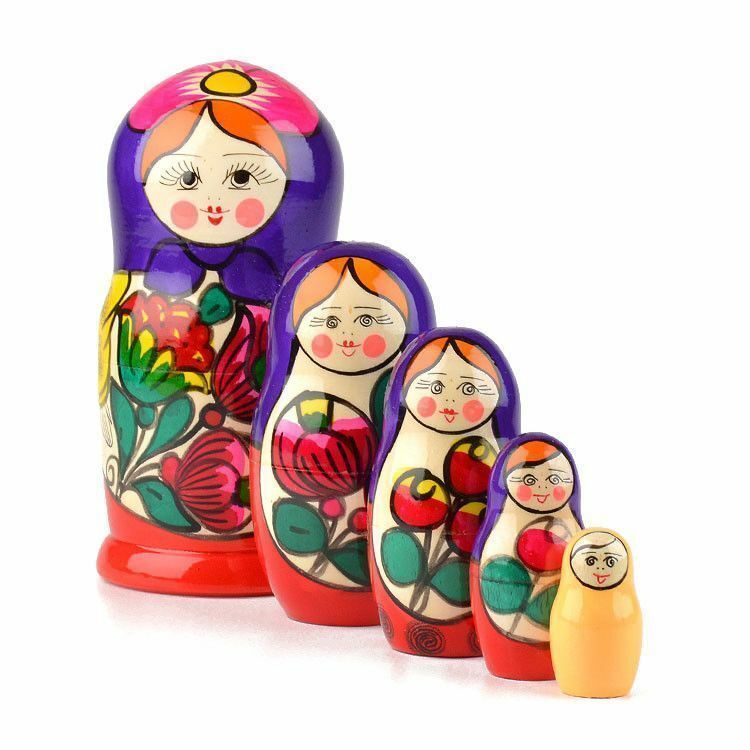 This mainly purple and red matryoshka painted in the classic Maiden style (bright, bold, simplified colors outlined in black) was hand-made in Russia. 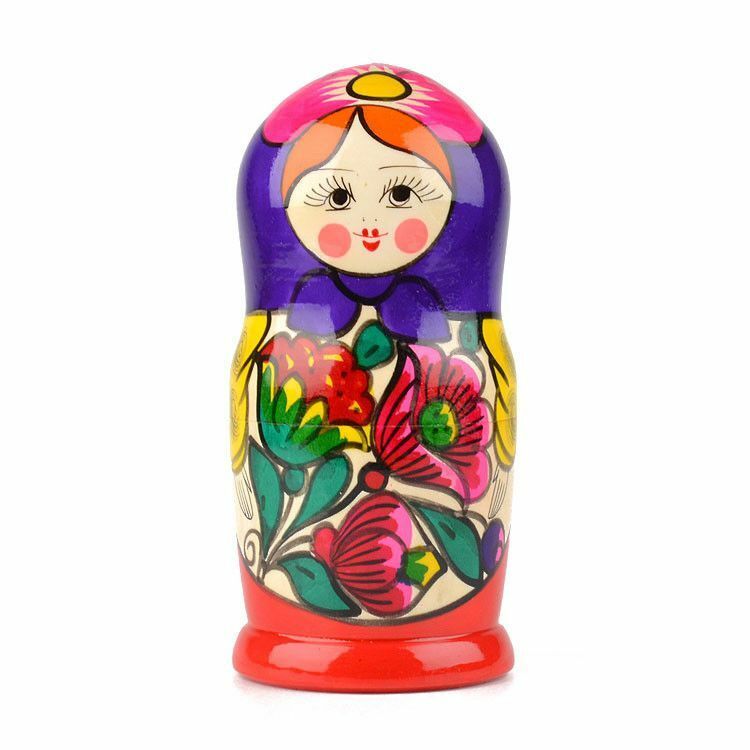 She is about 6" tall and has a total of 5 pieces. 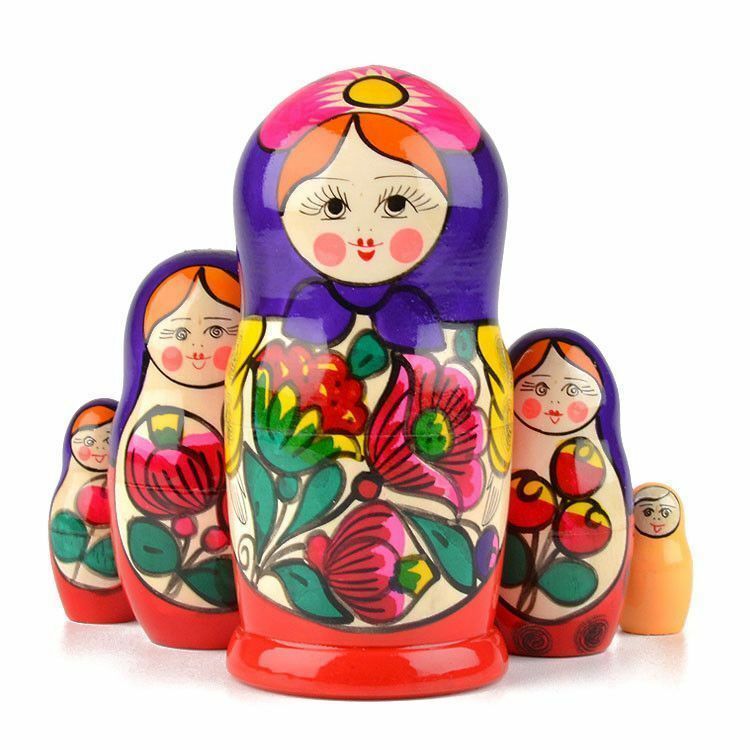 Wooden stacking dolls like this one are always a fun, unique, and wonderful gift idea for anyone and everyone!